Community members may be taking a risk or two in Haymarket. Serve Our Willing Warriors (SOWW), a non-profit, is hosting its Monte Carlo Night on February 23. The annual event will run from 6:30 p.m. to 10:30 p.m. at the Regency Dominion Valley Clubhouse. 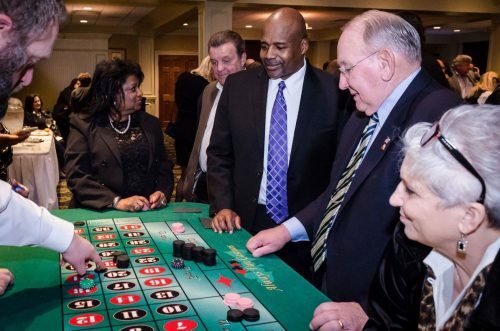 “The event is one of our premiere fundraisers, and it is a really great opportunity to bring your friends out and have a casino night,” SOWW Executive Director Emily Lappat said. It will offer food and beverages, a cash bar, a silent auction and gaming tables. Tickets are available for purchase online and cost $75. Proceeds from the Monte Carlo Night will benefit SOWW, which operates the Warrior Retreat at Bull Run in Haymarket. “We have two retreat homes where wounded service members, veterans and their families can come and have a respite stay away from the hospital, and just really focus on family time and wellness,” Lappat said.